At this time of year I start fighting internal battles every weekend. My lazy side wants to remain in the house with a cup of steaming coffee in my hand and fuzzy slippers on my feet. My proactive side knows winter is coming and I have to prepare my backyard before it strikes. Luckily, my proactive side usually wins. 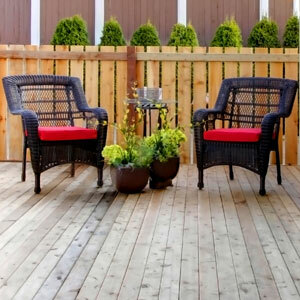 Last week we gave you some fall cleaning tips for your patio, deck, and outdoor furniture. 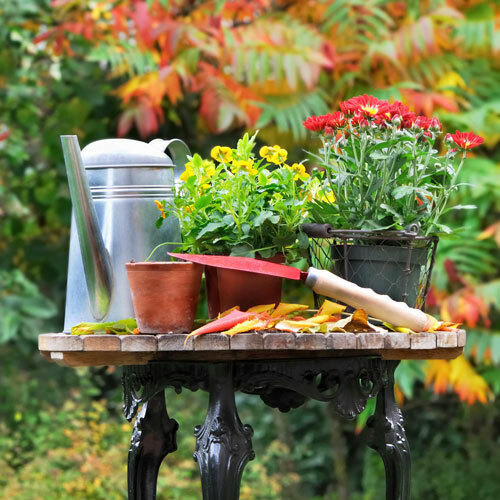 Today we’ve got tips for your garden to help you avoid a horrendous headache next spring. Pick up and remove any rotten fruit still on the ground. Cut back perennials but leave dried flowers, ornamental grasses and berries that look nice and provide food for birds. Put leaves to good use by creating a ground cover where you need it and mulch for next year. 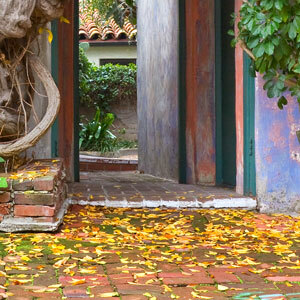 Here’s an article on 5 ways to put fall leaves to work in your garden from Houzz.com. Make your spring easier and clean up overgrown areas NOW. Leftover brush simply invites pests to nest and hide. Your future self will thank you. Think you’re done with planting? Not so fast! Get some flowering bulbs so that when spring arrives, you’ll have color in your garden. Keep plants hydrated! Just as you get thirsty during a sunny day, so do your plants. Keep watering your perennials, young trees and shrubs until the ground freezes. If you think dealing with garden clean up is enough, you’re mistaken. Once warm weather hits next spring, you’ll be chomping at the bit to get outdoors, so now’s the time to tidy up and prepare. Empty, clean, disinfect and store garden containers. An easy way to disinfect containers is by spraying them with a bleach cleaner. Doityourself.com has a very helpful article on this here. Clean and store stakes, cages and garden ornaments. They’ll last longer if you don’t leave them exposed to the winter elements. Don’t forget the birds! They’ve done a great job of feasting on garden pests and singing for you all summer, so encourage them to stick around another year by cleaning bird feeders. Clean and sharpen tools before storing them. Remove all caked on soil, sharpen edges with a file and give them a protective finish with a light coating of linseed oil. Once your garden clean up’s done, take off your dirty shoes, put on a pair of fuzzy slippers, and curl up with a nice cup of something warm, knowing you’ve saved yourself a lot of hassle come next spring!